Anthrax is a medical condition, which is resulted from the bacterium called Bacillus Anthracis, which may infect gastrointestinal tract, lungs, and skin. Anthrax is greatly contagious and, possibly, a fatal infection. Usually, Anthrax spreads to individuals from various animals, particularly, sheep, cows, and goats. Spores (dormant bacteria) may live in the animals products (for example, wool and soil) for decades. Although, people commonly may be infected through the skin, it may also happen from inhaling bacteria spores or eating contaminated food. Symptoms can appear twelve hours to five days after exposure to the bacterium. An infection in skin starts as red-brown bumps that are enlarged along with significant swelling at the edges. The bump blisters and hardens, then, the center breaks open and oozes clear fluids before forming the Eschar- ”black scab”. Lymph node in the infected part can swell, and the individual can feel ill; in some cases, experiencing vomiting, nausea,muscle pain, fever and headaches. 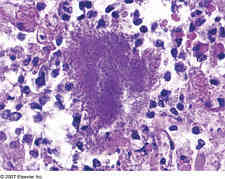 Woolsorter’s disease -pulmonary anthrax, is caused by inhaling the Anthrax bacterium’s spores. Such spores multiply in the lymph node near the lungs. 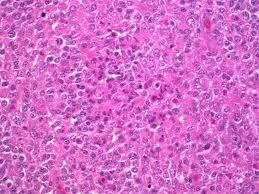 After that, lymph nodes begin to break down and bleed, transmitting an infection to surrounding chest structures. Infected fluids build up in the chest wall and lungs, and the space between lungs. At the beginning, the symptoms of anthrax are vague and similar to symptoms of influenza. However, the fever worsens, and in a several days severe difficulty in breathing develops, followed by coma and shock. Brain infection and Meningoencephalitis (brain’s meninges) can also happen. Even if treated in early stages, such Anthrax form is nearly always fatal. Another form of Anthrax is gastrointestinal specific, and is very rare. The bacteria may grow into the intestine’s wall and release a toxins that results in tissue death and extreme bleeding. The infection may be fatal if it is spreads to the blood. Knowledge about individual that has had contact with an animal, helps doctors determine diagnosis. To diagnose a pulmonary infection, physician can take a sample of a sputum for culture; however, the laboratory is not always able to define the bacteria. In some cases, the treatment is begun when Anthrax is suggested, but laboratory confirmations are not yet ready. Individuals who are at high risk of getting Anthrax, such as laboratory technicians, textile mills workers and veterinarians, may be vaccinated. Anthrax infections of skin are treated with antibiotics Erythromycin or Tetracycline. Lung infection need Penicillin administered intravenously. 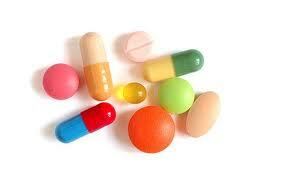 Various antibiotics can be prescribed. Corticosteroid can also be prescribed to decrease inflammation of lungs. 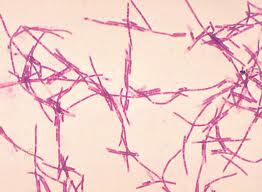 Prescription drug Cipro is also used to treat anthrax. If the treatment for the condition is delayed, the disease may be fatal.